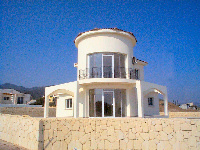 When a builder or developer sells an off plan property to a customer, we recommend that the Contract of Sale is registered at the TRNC Land Office. This safeguards a customer's financial investment by creating an entry of the customer and plot details in the Land Register. On occasion, it may also be possible for the builder or developer to issue the customer with a shared title deed when he has made the final payment and taken possession of the property. Regardless of whether the issue of a title deed is an individual or shared title deed, taxes need to be paid prior to the issue. If parcelisation has been performed and completed, then the builder or developer will be able to issue an individual title deed. This is normally only possible when the entire site has been completed. In the meantime, it may be possible for the builder or developer to issue a shared title deed to the customer as an interim measure until the separate individual title deed for your plot is available. There is much confusion about a shared title deed. This is often due to the fact that a shared title deed is often the best title deed available to a purchaser. There are unfortunately many instances where property development, both residential and commercial, has taken place without planning permission, building permits, architectural plans etc. In these circumstances, it would be expensive if not impossible to rectify these oversights after the event. Because of these considerations, it is not possible for an application for individual title deeds to be entertained. However, the requirements for the issue of a shared title deed are less stringent, and this option is the best available under the circumstances. When a shared title deed is being offered to a customer as an interim measure, pending the promise of an individual title deed, this facility should be welcomed and embraced. The 'shared' aspect of the title deed refers to the fact that you own a share of the freehold of the whole site, such share corresponding to the area of the site that your property occupies. Once you receive a shared title deed, eventually, when the separate individual title deeds are issued, the separate individual title deed for your plot will be automatically registered in your name. This will not require further taxes to be paid or cumbersome procedures to be completed. Many developers use the analogy of the purchase of an apartment in other jurisdictions such as the UK or USA in order to illuminate the concept of a shared title deed. In an apartment complex, each apartment owner's property sits on the same parcel of land. In other words, they own a unique and identifiable apartment, but they do not own a unique and identifiable parcel of land in its entirety. While this analogy may be useful, it fails to illuminate that a shared title deed in the TRNC is normally an interim measure, and that an individual title deed will follow in due course. In some situations, it is not always possible or practical to transfer a shared title. The first problem is the calculation of the share. If your site consists of a large number of properties or if the properties are of varying sizes/types e.g. a mixture of apartments and villas or with different internal areas and numbers of bedrooms, the shares will have to be calculated according to the exact metre square area of the property over the total meter square area of all buildings on the site. Changes cannot subsequently be made with ease, so an incorrect calculation resulting in an incorrect share being transferred could cause very severe problems. Therefore, it is important that the land plan that accompanies the shared title deed is as accurate as possible. In addition, once you own a share of the freehold, the builder or developer will probably require a power of attorney from you as he will require your signature as a ‘co-owner' of the site to complete the parcelisation works and transfer the other shares to the other future purchasers. This request testifies to the power and authority which the holder of a shared title deed enjoys. 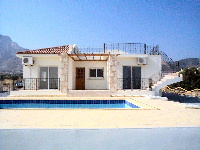 The other types of North Cyprus Title Deeds are also discussed.